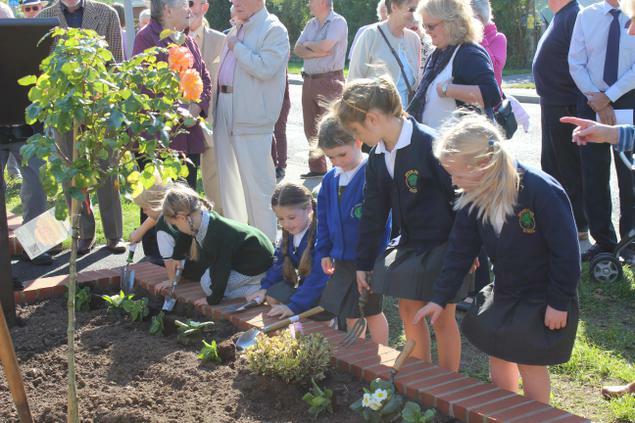 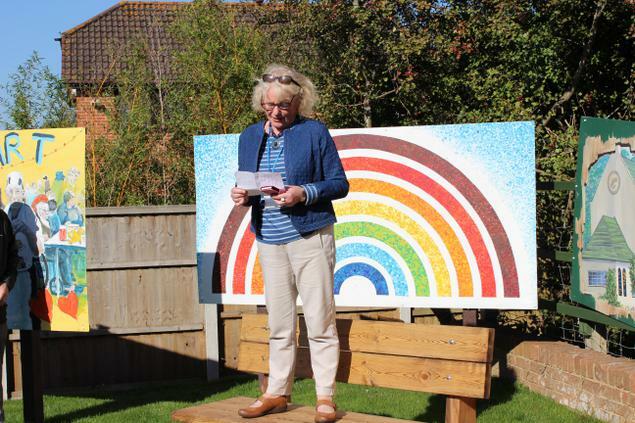 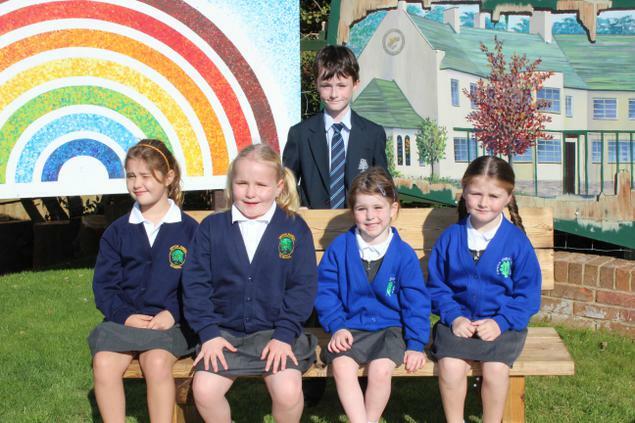 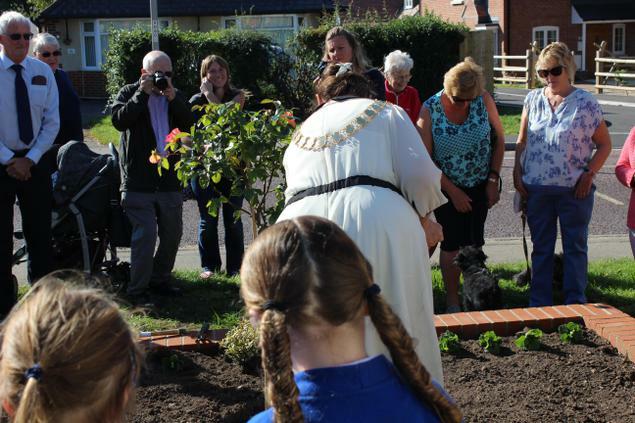 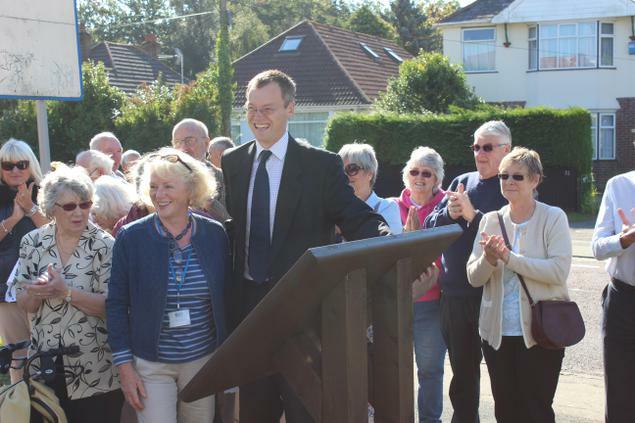 The great and good of the Upton community gathered together today to open the recently created Mural Garden. 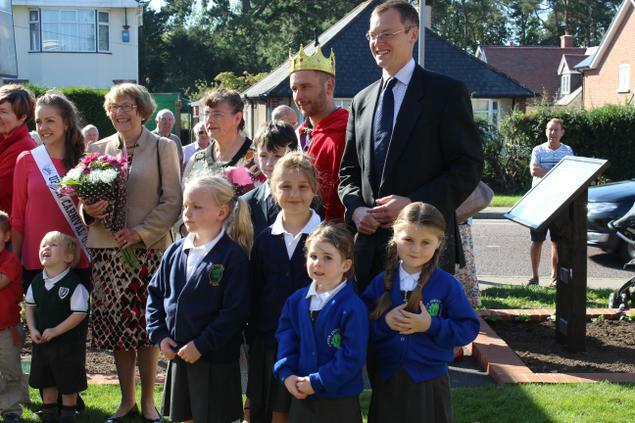 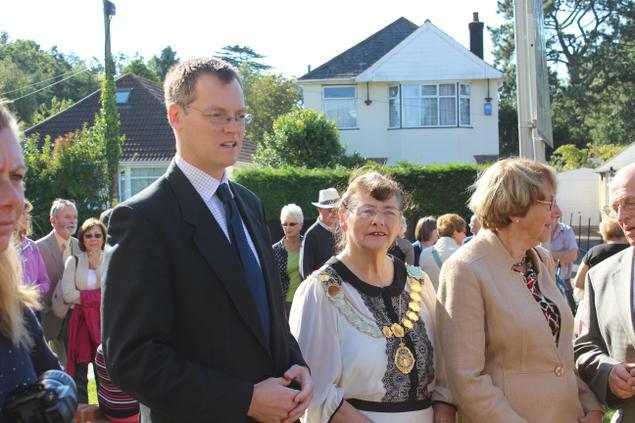 All the local schools and preschools were represented along with Dame Annette Brooke, Michael Tomlinson MP and the Mayor of Upton June Richards. 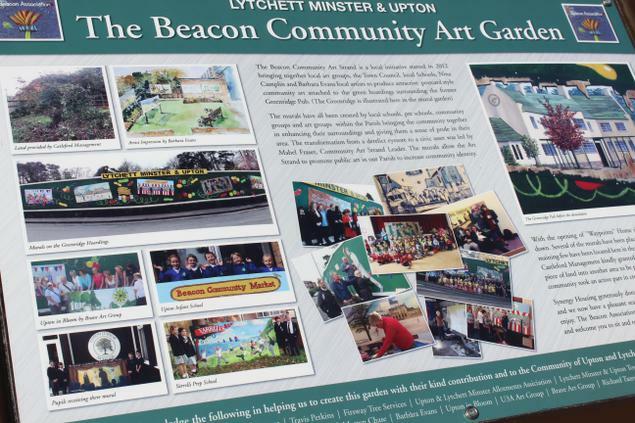 The murals that had adorned the Waypoints building site have been relocated alongside a landscaped seating area. 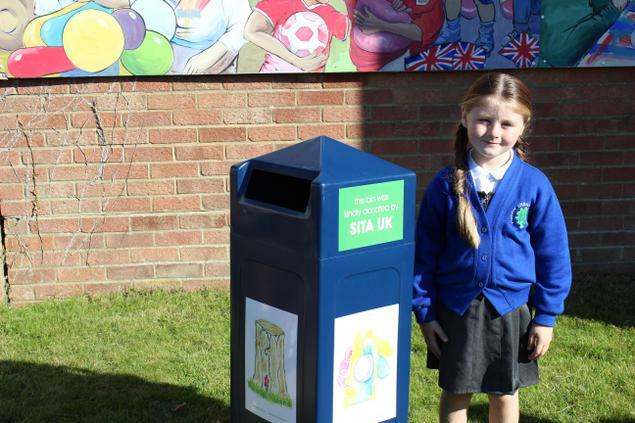 The local children had been asked to provide designs for the bin and Madison's picture (Ducks Class) was selected as a winner. 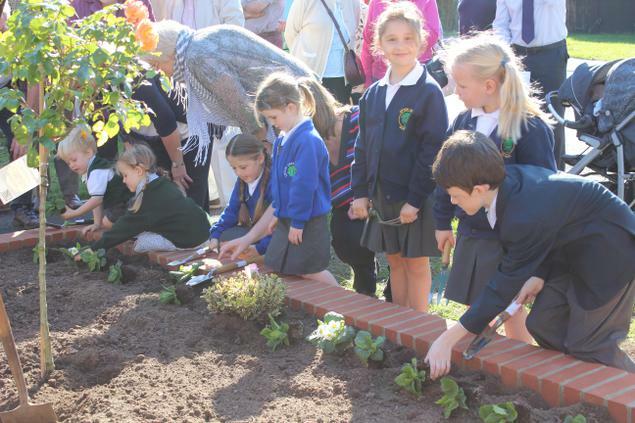 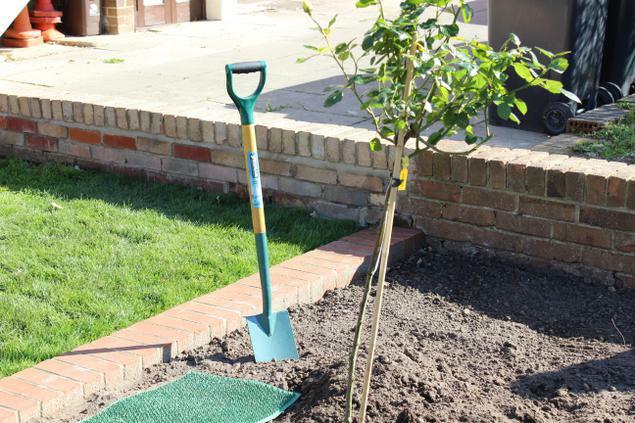 Congratulations to all those involved in the project - another fine example of the tremendous community spirit that Upton is becoming renowned for.